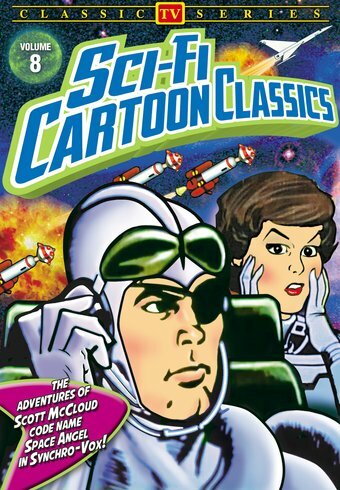 Ace astronaut Scott McCloud (codename: "Space Angel"), thwarts extraterrestrial menaces in four lost episodes of this animated TV classic. SPACE WAR: The galaxy is on the brink of war because of attacks from a secret asteroid base. THERE GOES DANNY: An atomic bomb is accidentally launched by a slow-witted sanitation worker. DRAGON FIRE: The Starduster crew investigates reports of dragons on the Moon. FLIGHT OF THE HOTSHOTS: Six green space cadets are the only defense against an invading alien fleet.